• Cargo in transit will be offloaded as planned. If you have any questions please contact your Move Manager. 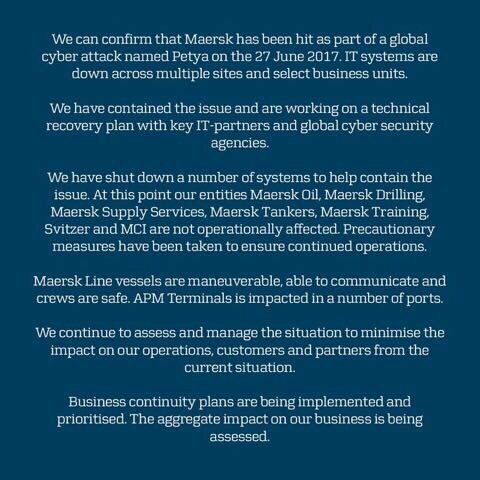 Click here for the latest updates from directly from Maersk.